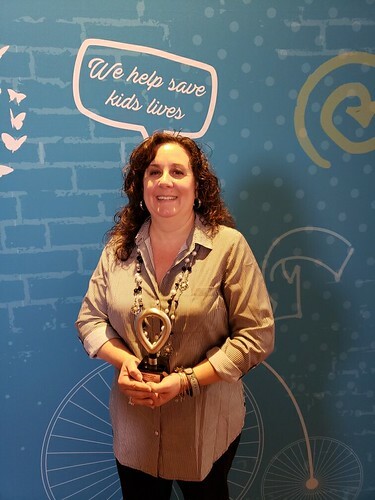 CMN Hospitals presented Children’s Miracle Network (CMN) at Penn State Children’s Hospital with a national award at its #ChildrensHospitalsWeek conference in Orlando, Fla. in March. For the 11th straight year, CMN Hershey received the highest fundraising per capita award ($2.37) for CMN Hospitals serving a population of between 1 million and 3 million. 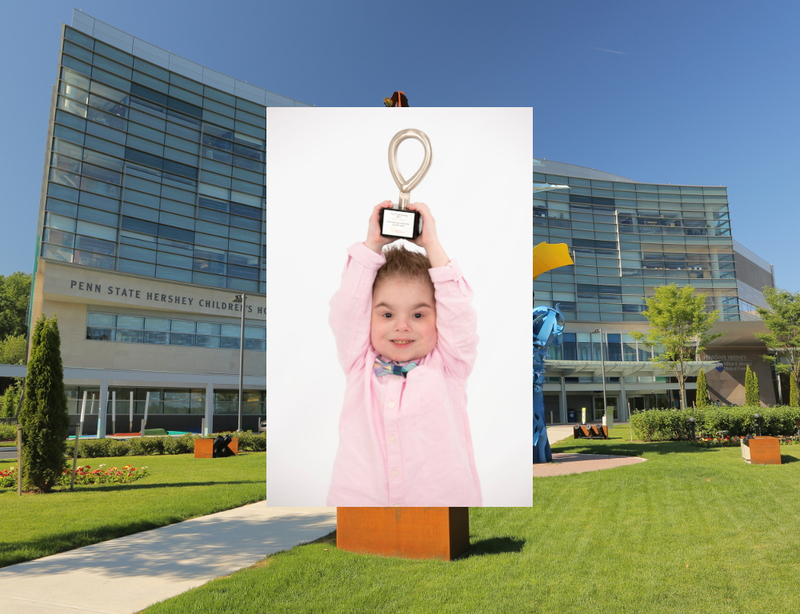 Children’s Miracle Network has raised more than $69 million to support life-saving equipment, family-centered programs and research at Penn State Children’s Hospital over the last 35 years. Also during the conference, Debbie Hill, manager of the Giant Family Foundation, received the 2019 Corporate Person of the Year award. The foundation hosts an annual golf outing to raise millions of dollars several CMN Hospitals. In 2018, Giant Food Stores donated $780,068 to CMN Hershey. The Dairy Queen Grill & Chill on Roosevelt Avenue in York was also recognized for being the top fundraising DQ in the country, raising $71,570 in 2018. During #ChildrensHospitalsWeek, $85,000 was raised for the Neonatal Intensive Care Unit at Penn State Children’s Hospital. This total included $10,000 that was donated by Johnson Controls, Inc. and $10,000 from Universal Media. In addition, numerous partners supported #ChildrensHospitalsWeek including Turkey Hill Experience, Giant Food Stores, Miss Pennsylvania, WGAL-TV8, Cumulus Media Inc., Fun 101.3 FM, Love’s Travel Stops, 445 Foundation, Walmart Inc., Garret Lauer Events, Harrisburg Senators, Hershey Entertainment & Resorts and the Hershey Bears, Ace Hardware, Courtyard by Marriott in Hershey, JPL, Shollenberger Januzzi & Wolfe, LLP, Whiting-Turner, REMAX, High Construction Company, BraveCubs, Dairy Queen, Renewal by Anderson, The Hershey Company and the NICU staff at Penn State Children’s Hospital.